solution to this ongoing epidemic. 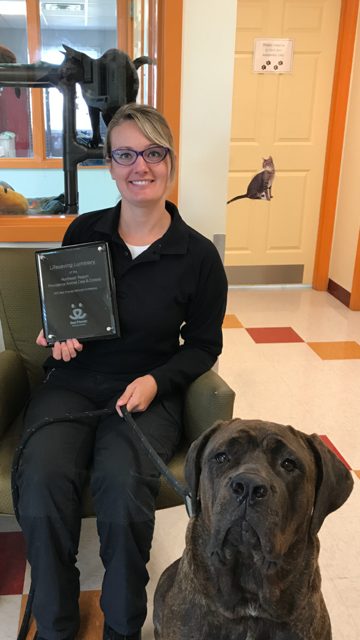 Providence Animal Care and Control is an active partner in the Best Friends No More Homeless Pets® Network, which offers help and support to animal rescue groups and shelters that save lives in their communities. Best Friends Animal Society is the only national animal welfare organization dedicated to ending the killing of dogs and cats in America’s shelters. A leader in the no-kill movement, Best Friends runs life-saving programs in partnership with more than 1,900 rescue groups and shelters across the country; regional centers in New York City, Los Angeles, Atlanta and Salt Lake City; and the nation’s largest no-kill sanctuary for companion animals. Founded in 1984, Best Friends has helped reduce the number of animals killed in shelters nationwide from 17 million per year to about two million. That means there are still nearly 5,500 dogs and cats killed every day in shelters, just because they don’t have safe places to call home. We are determined to get that number to zero by the year 2025. Working together with you, we will end the killing and Save Them All®. For more information, visit bestfriends.org.